Within 2 hours of the clean-up activity to mark International Coastal Clean-up, over 80 kg (176 lbs) of land and ocean waste was removed. 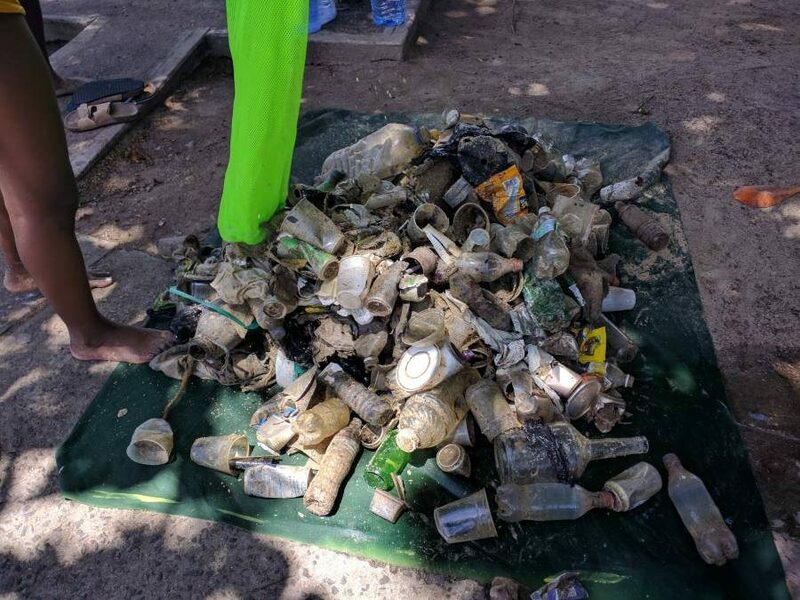 The clean-up drive organised by the Grenada Chapter of the Caribbean Youth Environment Network (CYEN) together with Education, Conservation and Outreach (ECO) is all part of a global campaign to protect the coastal and marine environments from indiscriminately discarded waste. 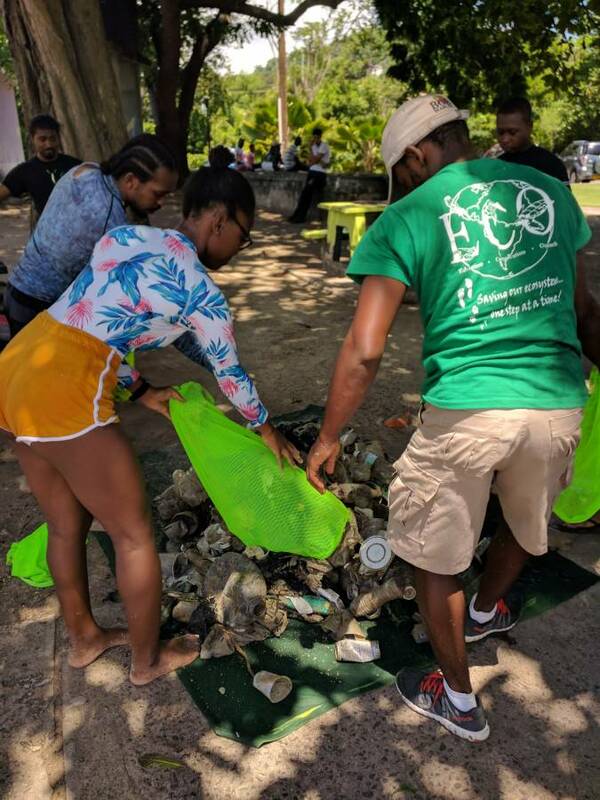 Both environmental groups consist of volunteers who devote their time to undertake the clean-up on 15 September 2018 on the Grand Anse Beach. 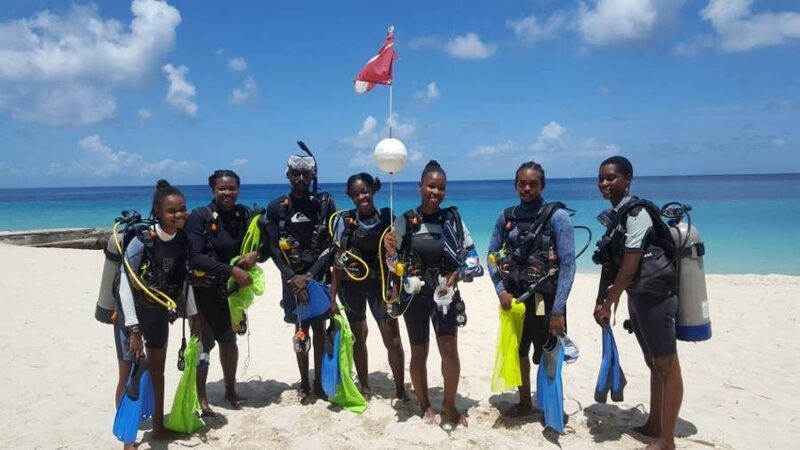 The groups were divided into teams; one to collect trash found on the shoreline and the other team mobilised a team of scuba divers to clean the ocean floor. The clean-up is part of Ocean Conservancy’s larger strategy to rid the ocean of waste and it is among organisations in the fight to find answers and offer solutions to address the existing of indiscriminate dumping of waste into the ocean. Glenelg Natural Spring Water also partnered with both environmental groups in the fight to against ocean pollution. Approximately 52 kg (115 lbs) of waste was collected on the shoreline and 34.25 kg (76 lbs) collected underwater.